Mo Freitas has surged to an extraordinary and quite emotional victory on finals day in Cold Hawaii following a “you couldn’t script this” photo finish with team mate and close friend Connor Baxter, as Team Hawaii plucked an incredible gold-silver result from an intense and exciting beach race here on the penultimate day of the 2017 ISA Worlds. 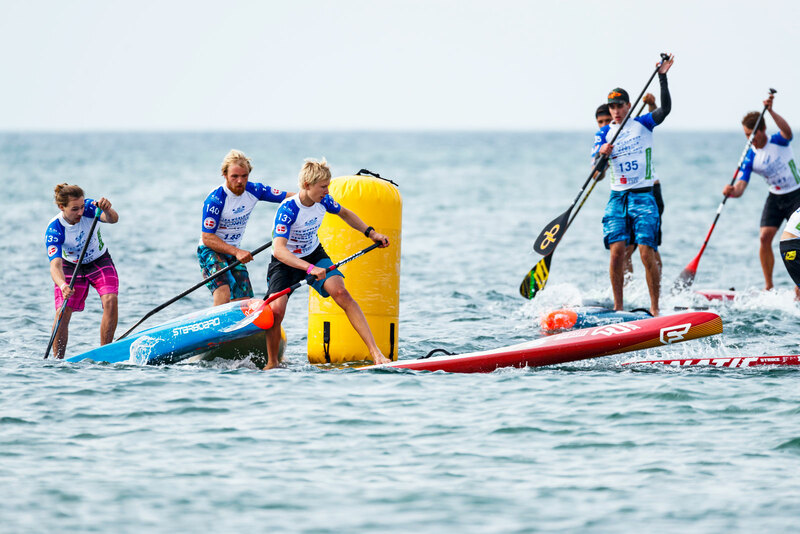 Annabel Anderson has once again cemented her status as the world’s best paddler after a powerful performance in the ‘beach race’ final here at the ISA Worlds in Cold Hawaii, Denmark today. It’s time to hand out some more gold medals here at the ISA Worlds in Denmark, with the ‘beach race’ finals set for Saturday in what should be an absolutely cracking afternoon of racing as 30 men and 24 women prepare to whip their way around the technical course at Vorupør. And you can watch the whole show LIVE right here from 12 noon local time. 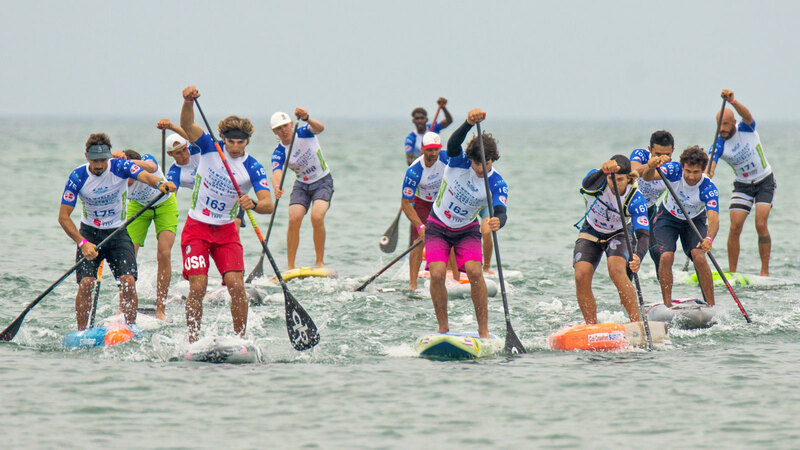 ISA Worlds update: Friday is a lay day, beach race finals are Saturday, and the team relay is on Sunday. 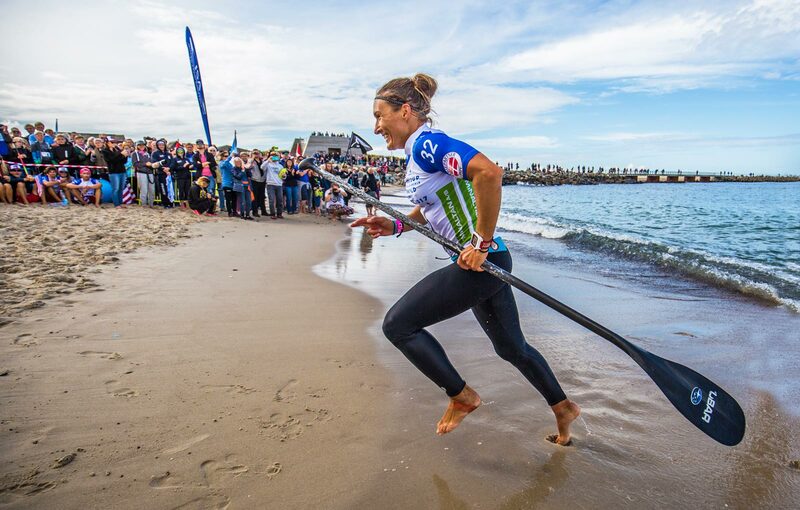 Shak goes back-to-back: Australia’s Shakira Westdorp has defended her surfing gold medal here at the ISA Worlds in Denmark, repeating her heroics from Fiji 12 months ago to give Team Australia 1000 valuable team points after outlasting France’s Justine Dupont. Check out the full results from today’s “Beach Race” qualifying heats here at the ISA Worlds in Cold Hawaii, Denmark. The ISA Worlds continue on Tuesday in Cold Hawaii with the ‘beach race’ qualifying heats from 10am. Take a look at the heat draws for Tuesday’s qualifiers, then tune in to the live webcast from 9:45am. 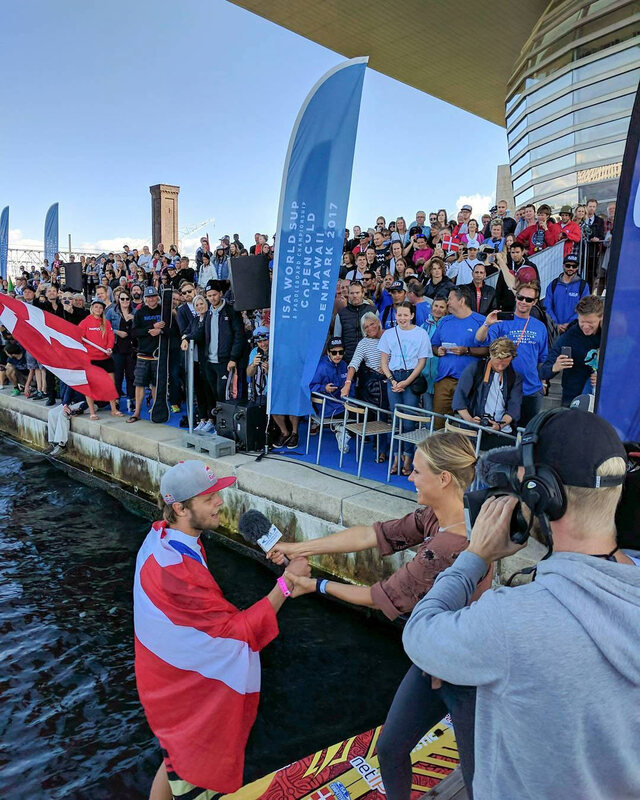 Home nation hero Casper Steinfath has produced a fairytale finish to the Copenhagen leg of the 2017 ISA Worlds here in Denmark, storming home in the 200 metre sprint final to claim gold in front of a vocal home crowd. Take a look at this great highlights reel from today’s festivities here in Denmark thanks to the crew from Starboard. 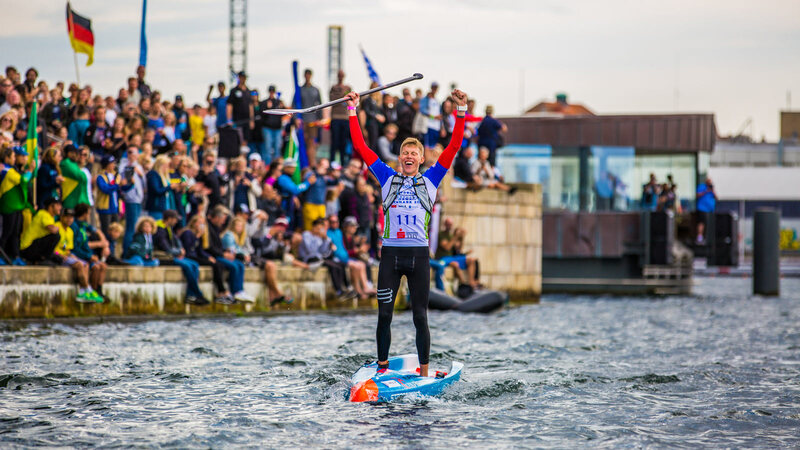 Hungary’s Bruno Hasulyo has officially announced himself as one of the sport’s best athletes after claiming the marathon race here at the ISA Worlds in Copenhagen today, holding off Hawaii’s Connor Baxter in an exciting finish to a very tough and hugely competitive 18km grind. After showing hints of greatness over the past two years, this is clearly the biggest win to date for Bruno, while it’s also a very well deserved reward for one of the most-dedicated and hardest-training athletes on the circuit. Annabel Anderson has won the first gold medal of the 2017 ISA Worlds in Denmark, putting on a vintage performance to break away from a large, elite field in this morning’s 18km marathon event to earn 1000 valuable team points for New Zealand. The world number one, who had to borrow a Starboard after her equipment was lost in transit, sat with the front pack on the first of four laps around this long but rather technical course in front of Copenhagen’s famous opera house. 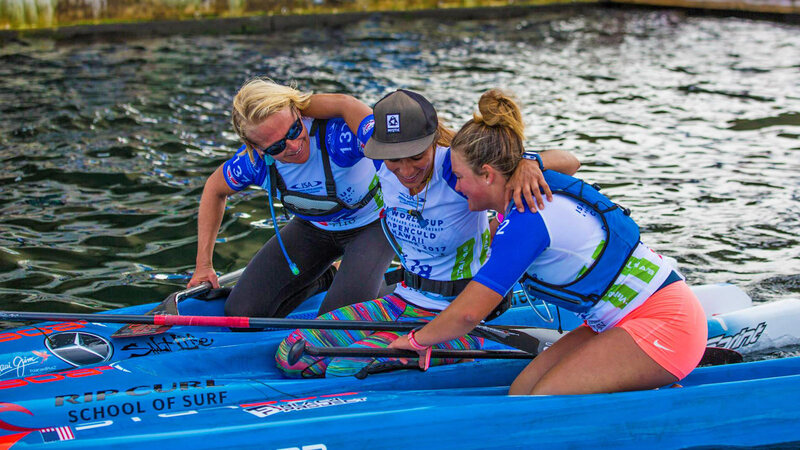 But as the field started to whittle on the second lap, Annabel put her foot down and broke away, paddling clear to win by two minutes in a time of just over two hours. Boss Man’s Bold Predictions: Who’s Going to Win the 2017 ISA Worlds in Denmark? 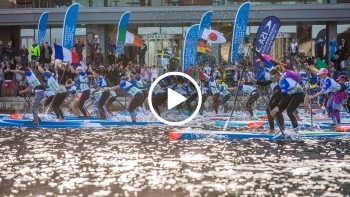 We’re set for a cracking weekend of racing here in Copenhagen, with dozens of the world’s top ranked paddlers on the start line for the 2017 ISA Worlds. Throw in the new gender equality alongside a record 42 nations, and for the first time ever we’re going to have a big field of women alongside the men. There’s 70 guys signed up for Saturday’s 18km distance race along with 56 women, however only a handful will be in contention for the gold medal. 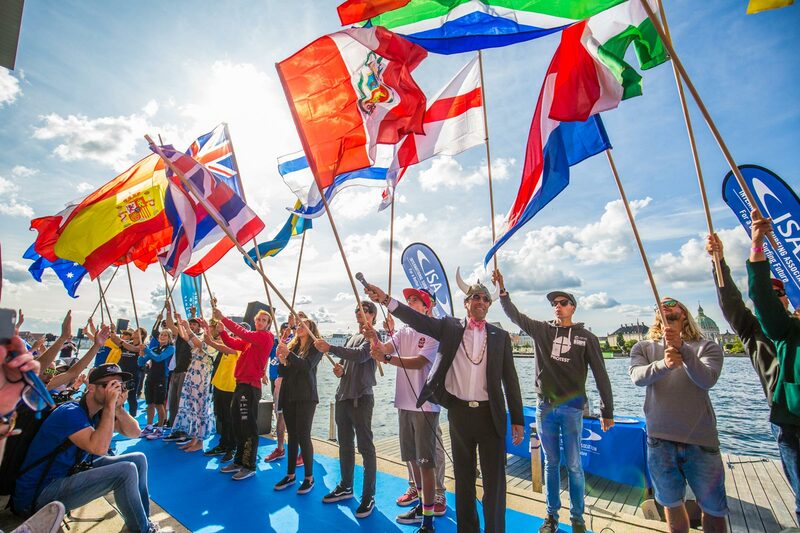 Athletes from 42 nations helped open the largest ever ISA Worlds in sunny Copenhagen today. – Tomorrow (Saturday) is the first day of competition with the men’s and women’s distance races. – Watch the LIVE STREAM right here at 9am (women) and 1:30pm (men) on Saturday (click to check current local time). 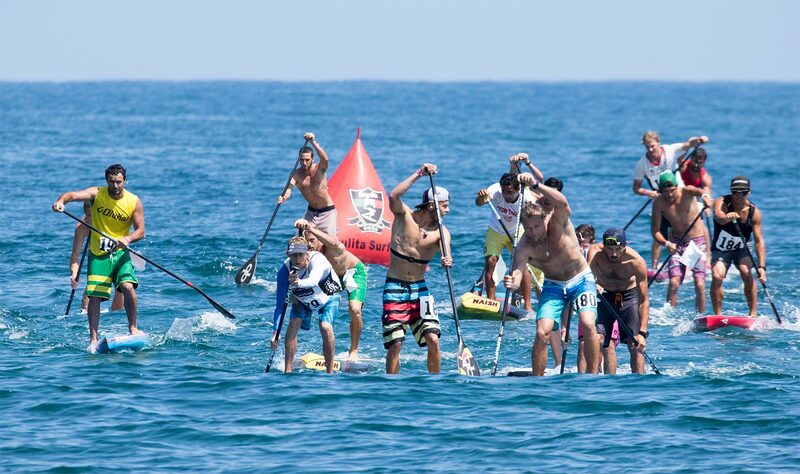 – There will be a record 70 men and 56 women racing tomorrow (view the starting lineup). 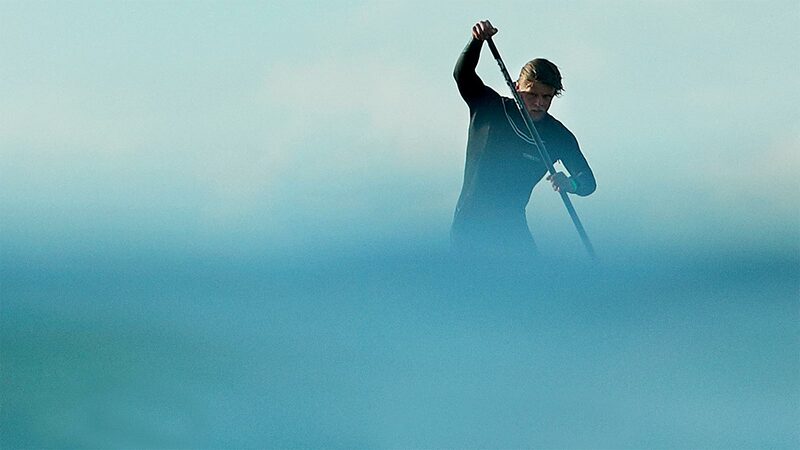 Next Stop… Denmark: The ISA Worlds are only five four three two days away ON! 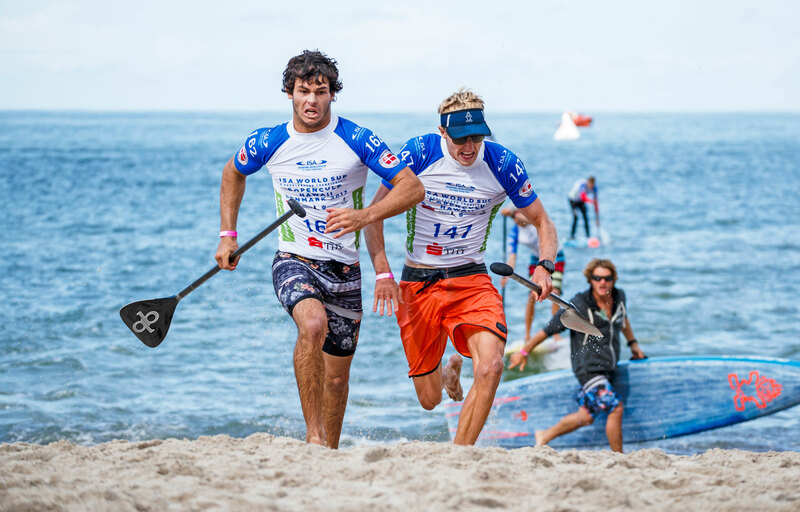 The countdown to the big dance in Denmark is almost complete, with the 2017 ISA World Stand Up Paddle and Paddleboard Championship just five four days away. In brief: Candice Appleby has claimed victory in the Beach Race at the U.S. National Titles in Oceanside, Caliifornia this morning, earning herself a ticket to the ISA Worlds in Denmark later this year to represent Team USA and defend the gold medal she won in Fiji. In brief: James van Drunen and Emma Reijmerink have taken out the 2017 “Battle of the Coast” in the Netherlands–aka the Dutch National Championship event that serves as the qualifier for the ISA Worlds in Denmark later this year.